Can you eat to beat cancer with the best cancer diet and cancer nutrition? And is it the sugar-ladened, cheeseburger, cake, biscuits and milk shake diet that NHS dieticians, Cancer Research UK and Macmillan suggest? Or is it the fruit and vegetables that top American cancer centres believe in? How can there be so many divergent views? No wonder people with cancer are confused! 1. A good diet can increase your survival and even prevent a cancer returning. So says the American Cancer Society in their extensive report on complementary cancer therapy research since 2006. The pro-Pharma naysayers are wrong. A good diet is very important in the fight against cancer. 2. The Best Diet is the one where you eat plenty of colourful vegetables and fruits, with their bioactive natural compounds. We are not confused about the best diet at CANCERactive. Weve done our homework. We researched all the research on all the diets. The South East Asian Diet (so little research); the vegetarian diet (fine for prevention, but no research says it helps if you already have cancer) and so on. Gerson Therapy, the Budwig Protocol, Nori, the Ketogenic Diet, the macrobiotic diet, the Atkins diet, the Paleo die and the rest. 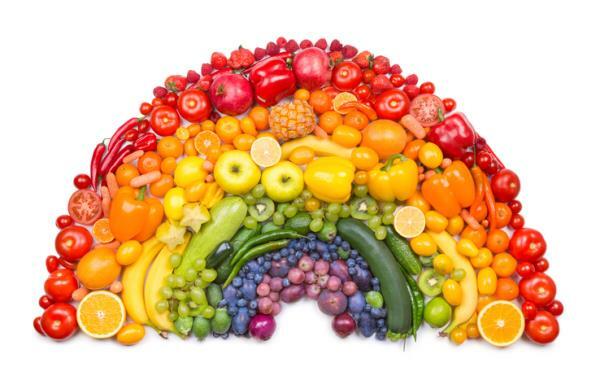 We are very, very clear that the best diet for a person hoping to beat cancer is the Rainbow Diet. If you want to prevent cancer, or if you have it and want to give yourself the best possible chance of beating it, low carbs, low sugar, high good fats and lots and lots of colourful vegetables and fruits is the diet for you. EAT a RAINBOW. We even have a best selling book "The Rainbow Diet and how it can help you beat Cancer". See the bottom of the page for reviews and how to buy.. The National Cancer Institute in America in 2012 conducted research into cancer stem cells (at the heart of all cancer tumours). Dr. Young S. Kim of the NCI showed that a poor diet would encourage the re-growth of a cancer tumour after chemotherapy had decreased tumour size, but that eating a good diet including certain natural compounds like curcumin, piperine, vitamin E and A, genistein, B vitamins like choline, theanine, sulphoraphanes, EGCG (from green tea) and resveratrol could stop the cancer tumour re-growth. Indeed, she went on to say in the research report that you could obtain these beneficial bioactive compounds from quality supplements. Women with low vitamin D levels have a six times greater risk of breast cancer and research is clear that if you have cancer and low vitamin D levels, your chances of survival are less. Public Health, England has told everybody to go in the sun and if they cant, to supplement. Go to: Vitamin D; are you getting enough? Minerals are important. Some women with breast cancer are deficient in Iodine, some men with prostate cancer are deficient in selenium, and generally people with cancer are deficient in magnesium. There are a number of quality research studies on each of these. Leeds University Medical School showed that people at risk of colorectal cancer, or people who had had it and did not want a recurrence could take a concentrated fish oil to improve their personal chances of survival, by reducing inflammatory polyps. By 2012 the American Cancer Society produced a report stating that since 2006 there had been an explosion in research into complementary therapies, and there was OVERWHELMING EVIDENCE that diet, weight control and exercise could improve survival and even prevent a cancer returning. 3. That Indole 3 Carbinol and DIM could act against hormonally directed cancers through one pathway and all cancers through another. 8. That beneficial bacteria in clinical trials had a significant benefit for colon cancer patients - as did fish oils and vitamin D.
10. That women with the highest blood plasma levels of carotenoids kept their breast cancer from returning. We have reports that natural and total vitamin E aids the action of tamoxifen, as does melatonin supplementation; and that indole 3 carbinol aids breast cancer drugs, and that astragalus or probiotics can improve the success of radiotherapy, that Red Clover (genistein) improves survival rates in breast cancer patients. Surely these are important elements in a cancer diet? 1. Calorie Restriction and Fasting have been shown to improve the outcome of chemotherapy and even to stop cancer progression. 2 The Ketogenic Diet is a variant of this where you do get to eat food - but fat and oils more than carbohydrate and protein. It is important to understand that glucose (and high fructose corn syrup) are the prime fuel of a cancer cell and you should avoid feeding your cancer! 5. Then we have Diet Therapies (Click Here) For example The Gerson Therapy, The Plaskett Therapy, The Gonzalez Therapy, The Hoxsey Treatment, the Pfeifer Protocol. These might be used as alternative therapies, but are more commonly used as complementary therapies. 8. And another popular article entitled Acid Bodies increase cancer risk (Click Here). 9. There is a very interesting article on the crucial importance of the microbiome (the bacteria that inhabit a healthy gut) to your recovery (Click Here). You might like to just look at our whole section on Natural compounds, vitamins and minerals that might make a difference - from curcumin to resveratrol and fish oils to vitamin D (Click Here). You might like to read about the interesting work on Salvestrols (Click Here). Finally, you might like to read our book - The Rainbow Diet. Click Here for a review; or Click Here to purchase. There can be absolutely no debate that poor diet is a contributory factor in the cancer forming process. The World Health Organisation believes at least 35 per cent of cancers have poor diet as their root cause. Other reports say this figure could be as high as 70 per cent. We find this rather misleading. Cancer development is a complex issue and involves a multi-step process. Many factors may combine and in a way that is as individual as you are. Everyday each of us makes cancer and pre-cancer rogue cells as by-products of our metabolism. These are normally killed off by a healthy immune system. We believe it is easier to understand that, whilst a few factors (like radiation) may cause direct damage to your DNA, many factors (like poor diet, toxins, infection) may weaken your immune system and be an indirect cause of cancer. If the immune system cannot cope with rogue DNA messages, cancer cells are freer to start their colonisation of your body. Even then they must multiply, taken on blood supplies, fire off around the body, etc. So you can see that diet may play a part, but rarely is it the only contributing factor to the development of a cancer. Next, what we mean when we say that cancer is a multi-step process. It is not a cockroach to be trodden on. There is no such thing as a single cancer cure - not a drug or a vitamin. Instead there are foods and natural compounds that can affect each of the 20 steps of the process. Curcumin, ginger, and omega-3 can stop inflammation, garlic can reduce the formation of blood vessels to a tumour, indole3carbinol can convert aggressibe oestrogen to a weaker form, and vitamin D and anthocyanins can even kill a cancer cell. Astragalus, cats claw and echinacea can boost your immune system, while glutathione-rich vegetables can help re-oxidise your body. I could go on, but it is all in detail complete with the research evidence, in my book The Rainbow Diet and how it can help you beat cancer. Click here for more details. I want to make one crucial point very clearly right up front. You can eat all the best, most nourishing foods in the world but you will derive little or no benefit from them if you do not have the right balance of beneficial bacteria in your gut. - release short chain esters like sodium butyrate from certain food combinations. Such esters stop inflammation, and bad cholesterol, and sodium butyrate actually kills cancer cells. - digest microbes and yeasts ingested with your food; these are organisms that will weaken you. Most significantly, your gut bacteria seem to get ill first - they lose their overall numbers and diversity. And you cannot get well until they get well. The Americans had 200 top scientists working for three years in a $173 million project on gut bacteria. And there is a new book by Chris Woollams called The Secret Source of your Good Health which is a must-read on this subject covering everything from cancer to diabetes and heart disease to dementia. Illness finds its roots in your gut. As a minimum, it is absolutely essential that all readers look at our articles on Beneficial Bacteria (click here) - and consider taking multi-strain probiotics daily. Preventing cancer. Or preventing cancer recurrence? At our 2004 Cancer Prevention Conference, the audience was a little surprised when one speaker, our own patron Professor Tony Howell stood up and talked not about preventing the first cancer in the body but about preventing the cancer taking a further hold once a patient had been diagnosed, treated and given an all clear. In other words, preventing recurrence. Of course, he was absolutely right to do so as that is where the majority of the Breast Cancer budget is successfully directed. But why should the same logic not apply here? Youve been diagnosed, even treated and are in remission. Given we know that diet plays a vital role in cancer prevention, why wouldnt it play a vital role in preventing the cancer coming back? For most cancer patients this is exactly the issue: I dont want my cancer coming back. Im going to do everything in my power to prevent it. The stark fact is that nothing beats a good, nutritious diet, involving whole grains, fruits and vegetables and fresh fish. But how does an individual know if they are getting a good diet? There is so much conflicting advice. Take the Governments recommendation of five lots of fruit and vegetables per day. In France this is ten and, in America since 2006, it is 13. Then we have had healthy eating pyramids and all too numerous food fads. The current Food Standards Authority recommendation is equally unhelpful in that it suggests you should eat a little of everything. Personally, I dont want to eat a single molecule of trans or saturated fats, dairy, or refined carbohydrates, let alone common salt or glucose - as is commonplace in our supermarkets. One self-evident problem is rising levels of obesity. US research shows that people more than 7 kgs overweight are statistically more at risk of cancer than if they smoke. Part of this is a link to our rising insulin levels, manifested in rising late-onset diabetes, and increasingly thought to be a driving force in cancer. Indeed insulin control and cancer is a new hot-topic in the USA. Here is the first clue that the research Waxman quotes may be poor. A study at the end of 2006 from the University of North Carolina has provided evidence about a link between breast cancer survival times and a womans excess girth. In this particular 9-year study the overweight women had an increased risk of death of 48 per cent overall, which increased the more they were overweight. Importantly, if they lost weight, they increased their chances of survival. Isnt a correct diet the main way of losing weight? It is becoming increasingly clear that deficiencies in certain vitamins, minerals and even hormones are linked to increased cancer risk. You must know about this to plan your cancer diet properly. For example, Harvard Medical School have done a lot of research on omega 3 (fish oils) and vitamin D. Professor Hollick has stated that there would be 25 per cent less fatalities from Breast Cancer if women took adequate daily levels of vitamin D.
The Americans conducted the China study using various antioxidants and a total sample of over 200,000 people over five years to 1993 and showed figures of 13-17 per cent less cancers with groups taking three antioxidants; beta-carotene, vitamin E and selenium. The French conducted the seven-year Su.Vi. Max study and concluded that the group taking a five-ingredient antioxidant supplement (beta-carotene, vitamin E, vitamin C, zinc and selenium) had 31 per cent fewer cancers during the period. I could give more vitamin examples, but instead let us turn to minerals. Deficiencies in potassium and magnesium, heightened by excesses of sodium, help to poison our cells, increasing their acidity and decreasing their oxygen levels. This, in turn, weakens the energy production system and weakens the p53 gene, which defends the cells from becoming cancer cells. US research in 2005 showed that 40 per cent of US citizens were magnesium deficient; you can bet thats the case in the UK too. Magnesium and potassium are plentiful in nuts, whole grains, greens, apricots, carrots, apples and all the foods young people do not eat any more. A research study carried in Cancer Watch in 2005 showed the dreadful diet of our children their top ten foods included no fruits, vegetables or fish but plentiful chips, crisps, pizza, chocolate, cakes and ice cream. When they do eat grains and cereals, they are refined and virtually vitamin free. But how nourishing are todays fruits and vegetables? Two studies reported in 2005 (for example, Cornell University), both carried in Cancer Watch, recorded mineral declines in our fruit and vegetables over the last 40 years of up to 70 per cent depending upon the mineral and item concerned. This soil deficiency (and it applies whether you are eating organic or non-organic unless the soils have been enriched) is clearly noted in the USA, where three Senate Hearings since 1934 have concluded that people should supplement because of increasing demineralisation of our soils through overproduction. But worse, our food is increasingly picked unripe and sent from Thailand or Kenya. A week later it moves from Covent Garden to your supermarket. This process means that the items carry fewer vitamins to start with and the delay reduces levels further. Fruits can lose nearly 50 per cent of their vitamin C after just 5 days storage. The figures and the facts are there for all to read. Dietary factors that heighten risk? Worse still; are there foods that might actually do more harm than good? Again there is hard evidence of increased risks with certain foods. Weve known about the dangers of saturated fats for years, but the worst are undoubtedly trans fats. McDonalds has been fined over theirs; many firms have cut them out. The US government requires on-pack labelling on all foods, warning on trans fat levels; the UK is not up to speed yet. Then there are foods such as glucose, salt and dairy. Glucose is the favourite food of the cancer cell and we have covered several studies in icon, notably from Harvard. Glucose effects are compounded by increased insulin levels - a feature of our move to one or two large meals per day rather than six small ones, especially as our meals are so full of refined carbohydrates. Refined pasta has a very high glycemic index i.e. its rather like eating neat sugar. Then there is salt. The Food Standards Agency still recommends 6gm per day. In my book The Tree of Life: The Anti-Cancer Diet, I recommend a maximum of 1gm. The USA recommendation in 2005 was lowered to 1.25gms. Sodium, in excess, poisons your cells and sets up pre-cancer conditions, reducing oxygen and increasing acidity. Fact. Finally, theres Insulin-like Growth Factor 1 (IGF-1), and you find that in cows milk. IGF-1 is what makes baby calves grow to full size in ten months. You do not want your cells dividing that fast and there is now plenty of research (for example, by the Karolinska Institute in Sweden) linking this hormone to increased risk of cancer. 1. Food is the core of your health. 2. Sodium and potassium are opposites the latter must balance the former. 3. Whole grains are the staple food of man. 4. Food should be unrefined, whole and natural. 5. Food should be freshly picked, locally grown and in season. Another anti-cancer diet we have covered in detail was prompted by in-depth US research and our own personal experiences its the Mediterranean Diet. This diet is based on whole grains, plenty of locally picked fresh fruit and vegetables, olive and nut oils, garlic, fresh oily fish and sunshine. Oh and apparently, according to the research, you can even drink up to 4 glasses of red wine a day! In part it is incorporated in my cancer diet book The Rainbow Diet and how it can help you beat cancer. If you want longevity, the diet for you is the Okinawan Diet. They actually consume 40 per cent less calories than even the Japanese, and live on atolls surrounded by coral reefs so their fresh fish, fresh fruit and vegetables and whole rice diet is full of minerals. They also consume virtually no sodium salt other than from the sea a major factor in all the Epidemiology studies on groups of people (like the Okinawans) who live longest in the world. Calorie reduction is also a major factor. I mentioned the increased risks of cancer with being overweight or obesity above. A number of studies (for example, on populations during wartime, and on laboratory rats) on calorie reduction - where you consume 5-10 per cent less calories than you actually need - show less illness and increased longevity. Many people write to us and complain that we do not take anti-meat, pro Vegetarian Diet stance. It is quite clear from research studies that increased levels of red meat consumption heighten cancer risk and increase factors such as blood cholesterol levels, so we do think people should moderate their red meat consumption........but.......research findings that vegetarians have less cancer usually omit the fact that vegetarians smoke less and consume less alcohol. They do not live longer as they still consume high salt levels like the non-vegans, and some even consume too much dairy. Moreover our view, put simply, is that one mans meat is anothers poison and we support the whole principle of professional metabolic typing. Many health writers point East and talk about low meat consumption and low cancer levels, neglecting to talk about lowered stress levels, lower cows dairy levels or considerably higher levels of everyday physical activity. Yes, there are studies that show that meat eaters develop more cancers than vegetarians. One reason is increased cellular inflammation. However, I know of no research studies that show, once a person has cancer, that cutting meat from your diet increases survival times. However, some cancer cells, if glucose is not available, can use an amino acid called glutamine from protein as a fuel. This is why some diets reduce the overall level of protein consumed. Also, there are at least four different biochemical types of person in the world. The foods that one population group thrive on may well not do so well for a different biochemical population group. We may well all be humans but we have developed over the last 20,000 years in an equilibrium with our localised environment. Metabolic typing was also the basis for William Kellys successful work in the US in the 1970s, and that has led to Dr. Gonzalez and his diet therapy regime, currently performing with great success in clinical trials in New York. Why the debate? Does changing diet help or not? The problem is that patients do a bit of this or a bit of that and they (and their oncologists) say they have changed their diets. For example some women with breast cancer go vegan and cut out all red meat. The only problem with that is that vegetarians have greatly reduced levels of vitamin B-12 and meat is a prime source. And breast cancer patients often have depleted vitan B-12 levels, so going vegan could compound the problem. The issue (as I laid out in The Rainbow Diet) is to cover all the bases - to alter your diet and include foods in it which can tackle every one of the many steps of the canncer process. No one (not even your doctor) knows how many steps of the process you currently have in your body. The aim is to eat foods that tackle them all. Be disciplined. Be thorough. Then you have changed your diet! Is there any hard evidence? In truth, the biggest problem is that the supporting evidence is nearly all anecdotal and thats not good enough. For my part, I have been through all the available research to prepare the Rainbow Diet, and I can tell you research says that each of the foods and natural compounds does indeed tackle one of the steps in the cancer process. But does the whole thing beat cancer - I dont know. What is interesting is that research shows calorie restriction and fasting can stop cancer progression. There are six or more research studies showing that people with high plasma glucose levels develop more cancers, and that people with cancer and high blood glucose levels survive least. This is because glucose (and high fructose corn syrup) is the favourite food of a cancer cell. Cancer cells are inflexible - starve them of glucose and they wither and die (some can use glutamine an amino acid in protein. However, healthy cells, while they like glucose are flexible and can use alternatives like fats. Burning fats is called ketosis. However, 70 per cent of cancer patients do not want to Fast! So scientists have come up with the Ketogenic Diet which reduces carbohydrate and protein intake, but increases goof fat and oil intake - this is very close to the basis of the French Paradox where they eat more fats than any other nation yet have less heart disease and cancer. So a ketogenic diet plus all the benefits of those colourful foods like beetroot and red and yellow peppers, broccoli, herbs. Just the findings of the National Cancer Institute we mentioned at the top of this article! Then there are diet therapies, with clinical trials behind them, that do work like those of Gonzalez or Pfeifer. But research into changed diets, rather than just doing a biy of this or that? And who would organise the research, or pay for it? Cancer Research UK dont seem interested, and we have no Government body as they do in America to check out these things. Recently, UK research to study the effects of six natural compounds each of which had already shown promise in treating brain tumours could barely raise any funding at all. If the $70 billion pharmaceutical business thinks clinical trials are prohibitively expensive, what chance the much, much smaller vitamin industry? Many people choose to turn vegan in their attempts to beat the disease. One such plan involves following the Bristol Cancer Centre (now renamed Penny Brohn Cancer Care) Diet. So we contacted Chris Head, CEO of Penny Brohn Cancer Care, and he confirmed that they have no research that supports their diet, adding that this doesnt mean the diet doesnt help, just that we dont have any research. In a further e mail to me he added that they have now decided to conduct research to cover this - we will keep you informed. This diet is based around whole grains (but not wheat), lots of pulses, seeds, cold pressed oils and organic fruit and vegetables. They suggest avoiding cows dairy, red meat, and saturated fat. The full diet can be found here. Again, no one is suggesting using this instead of orthodox therapy. For my part I would emphasise that, if you do cut out meat, please add vitamin B-12 into your supplements list a good source would be chlorella. There is a wealth of evidence that B-12 deficiency is linked with an increased cancer risk. And meat is the prime dietary source. You could even be exacerbating your problems. Surely it makes enormous sense to give yourself the best possible chance of beating your cancer? If you were overweight or consumed too much salt or too little potassium and magnesium before diagnosis at least correct and give yourself a fighting chance?? Isnt it simply common sense for a cancer patient to want to eat as healthy a diet as possible, thus trying to overcome any shortfalls in vitamins, or minerals that they might have amassed? Isnt it logical that they would now want to take care of themselves? Shouldnt the cancer patient be encouraged in this encouraged to eat the good things and cut out the bad? To avoid glucose and cows dairy with its growth hormones? Or are our medical professionals recommending you carry on with the hamburgers, pizza and chips? Personally, I favour the nuts, pulses and whole grain approach, as Id like my cancer cells to starve rather than be fed! Click here and here for our diet for chemotherapy . New patients ringing our offices are almost always nutritionally deficient, and nutritionally toxic. Quite simply, many patients have eaten such a poor diet, high in refined sugary, salty foods, aided and abetted by stress, coffee, fizzy drinks and so on, that their bodies have deficiencies and their cells are acidic. As we said above, this pushes the cells to a state of lowered oxygen and lowered energy. The cells have excesses of certain factors, and deficiencies in others like potassium and magnesium. One simple approach to diet is to try to return the body to its correct pH, which is slightly alkaline. You will find the Alkaline Diet here on our web site and you will find the foods and factors that can return you to this more natural state, increasing cellular oxygen. Again, the approach is the basis for the Gerson Therapy, refined by Lawrence Plaskett, who is Vice Chair of the UK Nutritional Council, and part of the Gonzalez Therapy for which there are clinical trials. Various hospitals in the USA use supplementation like vitamin D, or melatonin (Asphalia) to treat cancers. Others use herbs like astragalus or red clover. Some use genistein or fish oils. Now, we have consistently taken a strong line against US websites claiming that coral calcium, or essiac, or those high street bottles of shark cartilage cure cancer. They dont. We could give many other examples, and we do on our web site, based on factual evidence and research. But the fact is that there is also a lot of excellent research involving large numbers of people where, clearly, certain vitamins, minerals and hormones when supplemented do play a significant and beneficial role. A visit to the Nutritionals section of our website will show the sheer depth of top quality research available. The French Su.Vi. Max study previously mentioned also reported a 37 per cent decline in male deaths from cancer during the 7-year period, the US China Study showed a 21 per cent decline in mortality during the 5-year study. Both studies indicate supplementation doesnt just prevent cancer, it clearly can have an effect in increasing survival times. But drugs companies know this. In Cancer Watch (Issue 1, 2007) we cover a new drug and its clinical trials. What is it? A concentrated form of vitamin D.
Then theres the whole history of plants and herbs, again much studied by the pharmaceutical companies. Recently Alan Hopking, writing in icon, said, Many plants have furnished modern medicine with drugs that are used in cancer therapy as cytotoxic agents: recently the product known as Taxol, from the Pacific Yew tree, for breast cancer, and the vinca alkaloids from the Madagascar periwinkle. These compounds are effective as anti-cancer agents by virtue of their nature as poisons, which disrupt the cell cycle. Their destructive nature as poisons is clear. However the fact that plants were the original source of some pharmaceuticals, the classic example being Witherings use of the cardiac glycosides of the foxglove for dropsy, can blur the distinctions between two very different kinds of agents - medicines and poisons. In other words, just because some herbs are lauded as the basis for chemotherapy drugs, please dont think that is their only or even major benefit, as he went on to show. Herbs have helped in a curative role since man existed. Red Indian cures and Essiac, the Hoxsey formula for skin cancers and more, Indian Ayurvedic medicine and compounds such as Carctol. In almost every case that icon has covered, the quacks potions which were originally dubbed useless have subsequently been shown to contain herbs with anti-cancer properties. Alan took us through the specific proven benefits of many herbs after all, again, he is a qualified expert in this field. Follow this link for more details. At icon we always stress that supplements should be natural. Sadly the way the new EU laws have been interpreted, many natural supplements will fall by the wayside, and only synthetic ones (which seem to do less well in research) will be allowed on the high streets. Surely, if you have cancer, it is wiser not to continue to smoke? Why then would it not be wiser to avoid increasing your oestrogen, insulin or IGF-1 levels? If that means cutting down on dairy and red meat, then so be it. Indole 3 Carbinol (broccoli and cabbage) has been used since Roman times with cancers; research shows it converts aggressive oestradiol into oestrone. Melatonin supplementation is also known to reduce aggressive oestradiol and is used in the treatment of breast cancer. Hormones in meat, toxins in meat fats and animal fats, IGF-1 in dairy have all been shown to boost oestradiol levels. Which brings us to the subject of pesticides and organic food. Readers of David Brooms article will know that the Environmental Working Group in Washington has shown that certain foods are sprayed more, whilst others retain more pesticide. Conversely, others are much safer and do not warrant the expense of purchasing the organic equivalent. Again in Cancer Watch, we covered US research in 2006 that showed how just five days on organic food removed a number of nasties from the bodies of the children in the study. Some pesticides are oestrogen mimicking chemicals, once inside the body. Lindane and DDT have been directly linked to breast cancer and their use stopped in the Western World. Unfortunately the Pharmaceutical companies still make both and they are still used in certain third world countries. All this at a time our own FSA is reporting that levels of pesticides on imported food are above our UK limits (but they are still allowed onto the High Streets!) If Doctors treat certain breast cancer patients by cutting their oestrogen production, doesnt it make sense at the same time to cut out the chemicals that can add to the oestrogen pool in the body? A friend of mine has colon cancer. Her oncologist has treated this, but she is frightened it will return. A precursor to cancer is inflammation and the growth of intestinal polyps. Certain factors (including foods) are known to aggravate the situation, whilst others have been proven to keep polyps under control. To date, my friends top oncologist has not mentioned diet, nor talked about polyps. Yet Leeds University have conducted Clinical Trials using concentrated fish oils and shown that they keep polyps confined and colon cancer at bay. There is a lot of research, including a Nobel Prize, for work that shows salicylin (aspirin, aloe vera), long chain omega 3 (fish oils), garlic, ginger and curcumin can reduce the inflammation and polyp growth. One study from Oxford University and the Radcliffe in 2012 showed a reduction in metastases and cancer mortality for those taking a daily dose of 75 mgs of aspirin. Further studies confirm the importance of vitamin D and, to a lesser extent, B vitamins like folic acid. Other studies, including clinical trials, show the importance of beneficial bacteria in the breakdown of dangerous products and the production of helpful ones, some even showing the reduction of risk of recurrence. A US study over a thirty-year period, covered in Cancer Watch confirmed that people who took a multivitamin at least four times per week had 40 per cent less colorectal cancer. Isnt it actually neglect of duty and responsibility for top oncologists dealing with intestinal cancers not to be experts in nutrition? Why do they not have professional nutritional qualifications? Why do they not give advice that is very clear from the volumes of research available? Why cannot oncologists recommend a naturopath or a nutritionist? Except that they would be acknowledging that someone had skills and knowledge beyond their own. While Harvard, MD Anderson, UCLA and others routinely provide research on vitamins, minerals and supplements, we pooh-pooh them. Back in 2001, John Boik of the MD Anderson Center, Texas, wrote a book entitled Natural Compounds in Cancer Therapy. It included over 4000 scientific references and should be compulsory reading for all doctors at medical school. Sadly, doctors in the UK hardly receive any education on diet and nutrition during their seven years training. My local GP not only had never heard of lycopene he even asked how to spell it! Our view is similar to Boiks: There is no one cause of cancer, and nor will there ever be one cure; one magic bullet. Diet programmes need to be scientifically built so that certain foods with certain proven properties address each stage in the cancer process. Boik defined 20 such stages and put the relevant foods and supplements where there was research, against each. The cheapest shot that critics frequently use is that this diet or that supplement claims to be a cure for cancer and then they pour derision onto it. At CANCERactive we do not believe any single anything is a cure for cancer - not a treatment, a vitamin, a drug or a natural compound. That having been said, we do believe that cancer is curable today (even if that means putting it into and keeping it in remission). WE believe in the power of Integrated Treatment Programmes - and diet, weight control and exercise therapies are great places to start. Taking charge of ones own life is vitally important to some people and doctors ignore this all too frequently when they belittle (yes, they do we receive the letters!) their patients and their exercise or diet regimes, the hands-on-healer, the Indian head massage, the switch to soya, the findings on the Internet, and even the desire for a second opinion. The mind is an important weapon in the fight to beat cancer. And there is scientific evidence on the role of food here. To give one example, people who are depressed get more cancers, and cancer patients often suffer depression it is linked to a lowered blood oxygen level. But we know certain foods can help significantly in this area. In 2005 and 2006 there were a number of US studies that showed fish oils were more effective at dealing with depression than even the best clinically approved drugs and they dont have the side effects. By 2012 there had been a number of studies showing that stress management techniques increased survival times significantly; and these started with diet and natural compounds like fish oils, going on to include yoga, meditation and counseling. Diet is most definitely a factor in someones mental well-being and their survival from cancer. That a good diet providing vitamins and minerals, and avoiding potential dangers coupled with corrective supplementation using vitamins (e.g. vitamin D), minerals (like magnesium and potassium), antioxidants and certain anti-carcinogenic herbs can help a cancer patient is without question as far as nutritional experts are concerned. The critics, of course, argue that without hard numbers and clinical trials the evidence is not there. But time and time again this office receives stories yes, anecdotes, about diets, and diet therapies making a big difference. Professor Baum, also of UCL, calls this the Urban Myth; that someone given six months to live beats all expectations and survives ten years. He implies that its a factor of averages there will always be people who beat the norm. But I dont know. I think that argument is a bit of a cop-out. Can you ignore the anecdote? Too small to look into? What if there are only 150 or so people each year who gain a real benefit from changing their diet? As we reported in Cancer Watch, the Herceptin trials for early diagnosis in Breast Cancer have been a huge success. At 20,000 pounds per annum, the mathematic extrapolation of the UK trials indicate that 150 lives will be saved. We are very supportive of Herceptin. We are very supportive of diets and diet therapies too. Each has their place in a sensible multi-step and integrative battle to beat cancer. As I have said, we have a book which helps you cover all the dietary bases. The Rainbow Diet and how it can help you beat cancer, comes straight out of research and is thorough and disciplined. The basis of it is the anti-cancer Mediterranean diet where many of the foods have powerful anti-cancer properties. So think beetroot, red peppers, garlic, olive oil, greens, fish, nuts, seeds, low salt, sugar and cows dairy and protein and you are off to a good start. 1. Only eat whole grains like whole oats, complete brown rice and barley or millet. 2. Eat at least five lots of vegetables per day, especially greens, reds, purples and yellows. 3. Eat at least two portions of fruit but only on an empty stomach, first thing in the morning. 4. Eat pulses like beans and lentils at least three times per week. 5. Eat fresh nuts and seeds (especially pumpkin, sunflower and linseeds). 6. Do not fry, or roast at high temperatures. Grill or steam where possible. Eat at least one raw meal per day. 7. Eat five to six small meals per day, not one or two big ones. 8. Focus on good oils like extra virgin olive oil, nut oils like walnut oil, unrefined seed oils like flaxseed, fish oils and coconut oil. 9. Restrict your use of salt. Cut out all processed, prepared, tinned and packaged foods. Avoid crisps, peanuts, sausages, bacon, soy sauce and other condiments, and especially Chinese food with mono-sodium glutamate. 10. Limit your consumption of red meat and focus on oily fish and on organically farmed meats with less added drugs/pesticides. 12. Avoid all glucose, and especially high fructose corn syrup in sweet fizzy drinks. 13. Drink 3 - 4 cups of green tea per day; a glass or two of red wine per week. 14. Take a daily multi-strain probiotic with ideally six or more different strains of bacteria. - Try the Natural compounds suggested by the NCI: sulphoraphanes, curcuma longa (which you mix with black pepper and olive oil to absorb). - Consider vitamin D and fish oils. i. Consider taking red clover for its genistein and/or soya isoflavones plus Indole 3 Carbinol. ii. Consider melatonin supplementation (Asphalia is a natural alternative). For naturally-sourced supplements you might like to see what the Natural Selection Shop has to offer. Click here.